Having the “right” domain name for your business website can make a big difference, not just for your traffic but also search engine ranking, and you should put some thought into it before you get your wallet out. Here are 4 points that will guide you to make the right decision for your business. You have probably come across some domain names that are free of charge while searching the net. You might even consider getting a free domain name. But don’t be fooled by the false economy. By choosing a domain name with a free provider such as Weebly, WordPress, Blogger etc., you are giving away some of your freedom (or assets). An example of such an URL is “myhappybuisiness@wordpress.com“. As you can see, you are actively advertising their brand. But there is another argument why you should opt for a domain name that only belongs to you. Aim to get a domain name which either contains your business name or keywords relating to your brand. Imagine your domain name as your digital business card. When people see the URL, or you tell it to them, they should get a sense of what your business is all about. Even if they never heard of you. When you see the domain name SmartphoneCoverToday.com, you know that the site will deal with Smartphone Covers in some way (just like a source for news on that particular subject). Other brands like Amazon.com have become household names: foregoing the need to spell out the domain name! Domain name and Brand are identical. What impression do you get when you see a company with a domain like myhappybuisiness.freehoster? Probably not expecting high standards. If you want customers to spend money, you need to look professional. You will use it for the foreseeable future: just like a tattoo and just as troublesome to get rid of. Once you have purchased your domain name, it will be part of your business cards and any marketing material, and more importantly, it will be indexed by search engines. All this work would be futile if you decided to change the domain in 4 months. What you need to consider when choosing your domain name. In an ideal scenario, you could buy the Domain with your business name, but these days, many names have already been acquired. Use the Hostko search feature and check for your business name to see if it is still available. Make sure that there are no similar sounding names in use by your competition (you might not want to buy myhappybuisiness.net since there’s already someone using myhappybuisiness.com. As you might lose out on business to them since the website name is near identical). If your business name is unavailable, look for SEO-friendly keywords that relate to your niche. This is a smart strategy to improve search results for that very keyword or phrase. 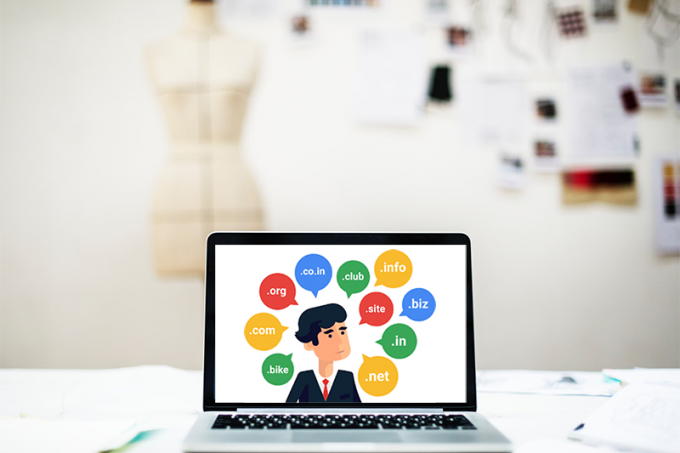 Be aware that on occasions you will be speaking your domain name out loud, so avoid dashes and other symbols that make it hard. It’s much easier for people to process you saying that your site is coins.com than Coin.Collectors_20.com. As competition heats up for domains ending in .com, we’re starting to see some new ones such as .art, .vip, .tv. If you find one that’s perfect for your type of business, you may be lucky enough to get that domain name you really want (and these are usually cheaper). Note that some online forms do not recognise these new extensions yet which could lead to problems when filling out forms with your website or email address. There’s one last step once you’ve chosen your domain name: setting up the email. Using an email address with your domain is more professional than using Hotmail or Gmail. People expect to get emails from a company with the domain name (sales@myhappybuisiness.com), so your emails will make it to their inboxes, whereas a Hotmail email might fail (sales.myhappybusiness@hotmail.com). Again, when choosing your email address, keep it simple. Something like firstname@myhappybusiness.com slips easily from the tongue when people ask you for your email address. 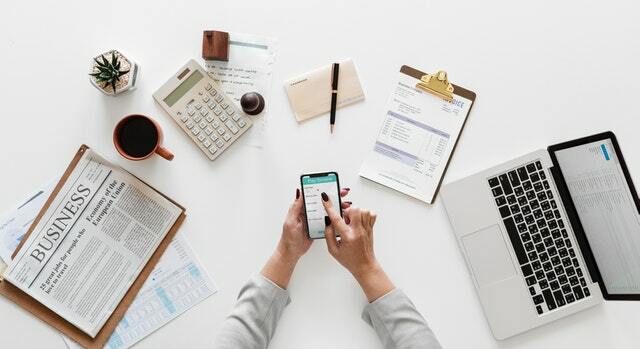 Having your domain name lets you also create emails for different departments (no matter if you are a sole trader), like sales@myhappybusiness.com or accounting@myhappybusiness.com. If you have a team, be consistent with the email addresses for all employees. Just like your website, your domain name is part of your digital credentials. It pays out to look professional – so don’t overlook this essential marketing tool. Invest a little time and money into the process of choosing your domain name. You will reap the benefits for years to come.